Reality TV show on Down syndrome gets nominated for prestigious Emmy Awards! 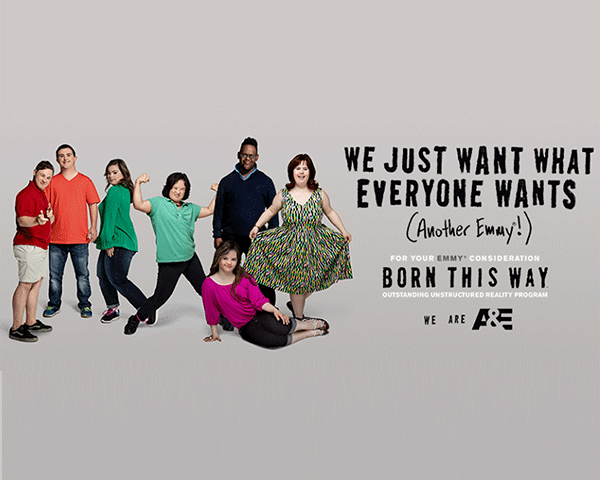 Born This Way, a reality television show that shows the lives of people with Down syndrome is up for the many Emmy Awards. The show is nominated for four Emmys, including awards for casting, cinematography, picture editing and unstructured reality program. The show, which is set to return for a fourth season in August this year, is about seven young adults with Down syndrome. It shows their lives as they pursue jobs, relationships and independence. Born This Way has received many honors in the past as well. It won many Emmys, including the 2016 award for Outstanding Unstructured Reality Program. It was also named to the 2016 Television Academy Honors and won the Critics' Choice Award for Best Unstructured Reality Series in 2018. Apart from Born This Way, HBO's comedy special on autism has also been nominated for an Emmy this year in the live variety special category.